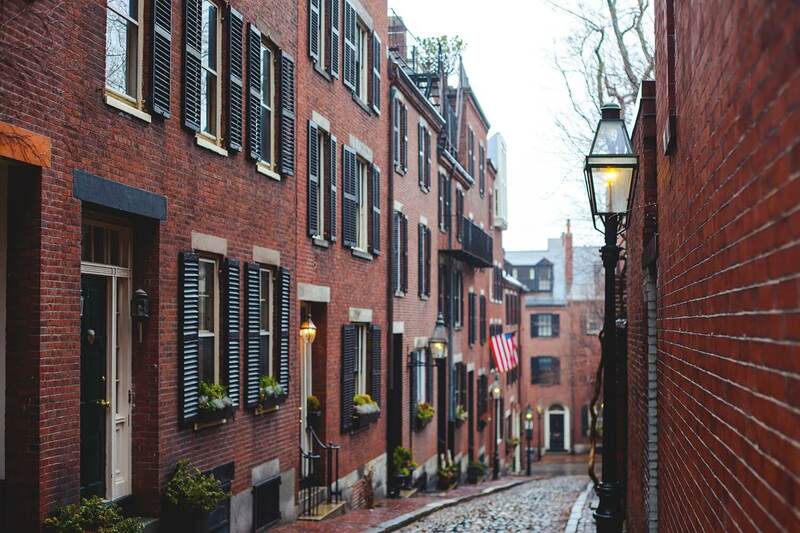 Home to Red Sox baseball, Boston's cobblestone streets are in the midst of a real estate boom. Over 5,808 real estate agents work in Boston but only the top 3% of Boston real estate agents sell homes in an average of 65 days (nearly half the average) and for 103.6% of the list. Use a top agent to stay competitive in this hot Boston market. Average Boston real estate agents work about 139 properties in their career, sell homes in roughly 109 days, and get 98.0% of the initial list price. On the other hand, the top 3% of Boston real estate agents work on more than 467 properties over their career, sell homes 1.4x faster, and get (on average) 103.6% of the asking price. Boston is a seller's market. Even the average seller's agent in Boston sell properties for an average -$13,338 over the initial asking price. Top Boston seller's agents though, earn their clients 155.0% more than that. At times, that's a $37,583 difference in value. Looking to buy property in walking distance of Fenway Park? The top buyer's agents in Boston can save you an average of $33,430 over the average Boston buyer's agent. That's a whopping 67.6% more cash in your pocket, simply by using an agent in the top 3%. Boutique eateries close to Downtown and Victorian styles characterize South End. Populated with parks, South End sits in the Southern end of Boston and borders Northwestern University. Fill up on parkside walks, good food, and grand New England style buildings that are seeped in history. Looking for a rowdy time? Fenway is filled to the brim with college students who love to watch sports and party while they’re at it. Catch a game at Fenway park or grab a hot dog and yell at the tv screen from a bar just outside. You’ll find millennials who love the thrill of the game in this ruckus Boston spot. Classic brick flats with matching shutters and flower boxes line uneven brick sidewalks. Massachusetts State House lends history to this upscale Boston neighborhood. Walk along the Charles River Esplanade for trees swathed in Fall. This area is pricey but its walkability and gorgeous homes are worth it. We have demanding schedules and HomeLight was able to connect us with an agent who was flexible to work within our availability and time frames. If you’re searching for a realtor, I highly recommend HomeLight to help you find the best one for you! When is the right time to hire a real estate agent in Boston? It's going to depend on the temperature of the Boston housing market but we generally recommend that you hire a real estate agent as soon as you're thinking of selling your home. Generally speaking, that's anywhere from 3 to 6 months prior to your desired move date. How important is it to hire a top real estate agent in Boston? On average, the top performing 5% of seller's agents generally command a higher selling price (+9%) than the average real estate agent. The top performing 5% of buyer's agents generally save their clients 2.5% more than the average real estate agent at closing. So, whether you're buying or selling your house, your odds of making more money on the transaction are higher if you work with a top performing agent. We encourage you to explore all of your options if you're selling a house in Boston, MA. Why do I need to hire a licensed real estate agent in Boston? What is the average real estate agent commission for agents in Boston? While individual real estate agent commissions do vary, most real estate agents in Boston work for 6% of the home price. How do I find a real estate agent that specializes in a specific Boston neighborhood? What are the most important questions to ask when interviewing Boston neighborhood? We've put together a list of 24 questions to ask your real estate agent. Make sure to ask them of your Boston real estate agent during interviews. Why should I use HomeLight to find a Boston real estate agent? HomeLight analyzes all real estate agents in Boston to bring you custom, unbiased, data-driven recommendations. We use actual home sales transaction data to compare Boston real estate agents and will only introduce you to the top performing agents. Do these Boston real estate agents work for HomeLight? What factors does HomeLight consider when evaluating real estate agents in Boston?